Walt Disney World’s unofficial “Gay Days” tradition is coming under fire from a conservative and notoriously anti-gay group. 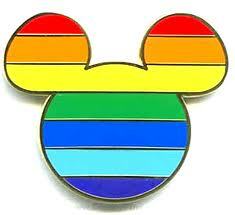 What do they think that Gay Day is at Disney, a brothel? And aren’t they a little late to be angry at this anyway since this has been going on for over two decades? They don’t call this one of the best places on earth because they restrict certain people from enjoying the theme park. And with the history of this country, don’t you think it’s time for us to move beyond that now ladies? Well, maybe, just maybe, One Million Mons will actually live up to their names and do what any real mother would do; love and support us, unconditionally. Besides, we have families too…and we spend a lot of money on Gay Days. Why would Disney fail to be ‘family-friendly’ to us? Why would they turn away thousands and thousands of paying customers on Gay Days because a handful of wingnuts think they should? OMM can whine and stomp their feet but in the end…it won’t make a lick of difference.